I review books. I've read several that I've given the Kirkus "star" because of their literary quality. But I am not a critique. I am a reader. Sig Gissler, the administrator of the Pulitzer Prizes, said, “It’s unusual for the fiction award to be a problem, but it was a problem this year. It’s not unheard of, but it’s unusual.” Indeed, it’s happened 11 times, the last in 1977. Back then, the jury presented three finalists but recommended one winner. 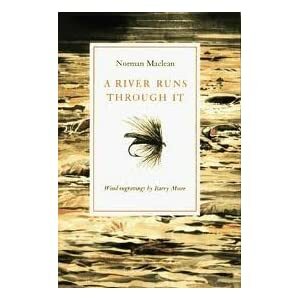 In 1977 it was A River Runs Through It by Norman Maclean, but the board decided not to give the award. No Pulitzer for A River Runs Through It? I wish I had a formal education in literature so that I could explain the idiocy of that decision.